Now that the burning season is coming to an end, we would like to extend a broad invitation to all global minds in Chiang Mai to gather for the first InterNations Official Event this year! 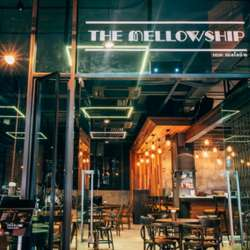 The event will take place at The Mellowship on Thursday, 25 April from 19:00 and will last until midnight. The venue will be ours for the duration of the event, so you will have a chance to mix and mingle with your fellow InterNations Members. Kindly confirm your presence by clicking the Accept Invitation button. Feel free to bring your international friends, but please invite them to sign up to InterNations first! For many guests, it’ll be the first InterNations event; quite a few arrive on their own. Please be open to making them feel welcome. If you see someone standing alone, it’d be great if you introduced them to your friends. We can thus share the spirit of connecting global minds, and every member will have a lovely time. Thanks!